The Living Legend at a Grocery Store Near You!!! 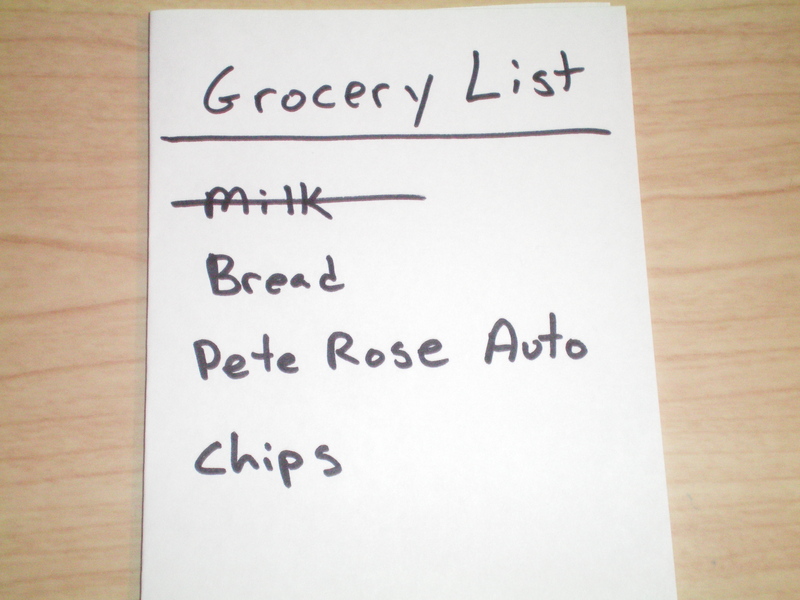 I found myself at the store the other day picking up the normal milk, bread, etc…. but now we can add Living Legend Auto to that list. 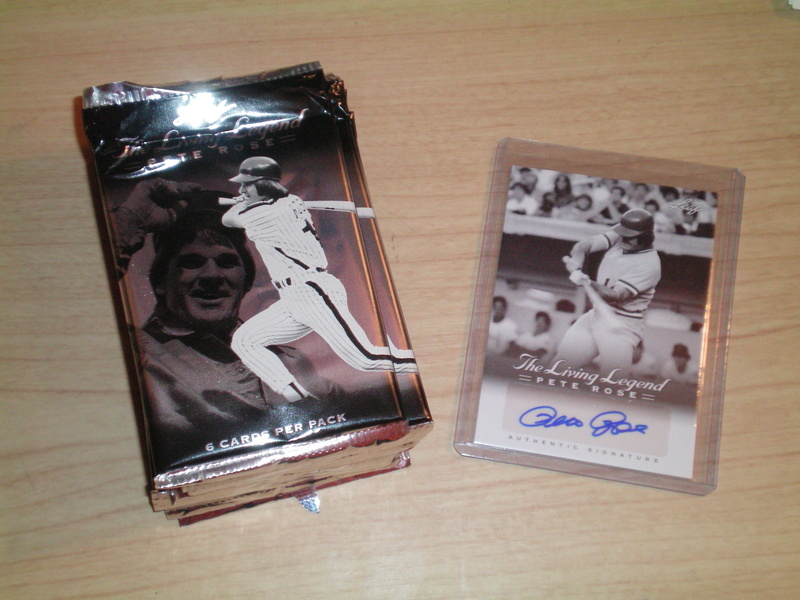 Leaf has released “The Living Legend – Pete Rose” for around $30 you can pick up a box that comes with 10 packs, 6 cards per pack and a GUARANTEE Pete Rose autograph all at your local Wal-Mart, Meijer, or Target. Now for most Reds, Phillies, and yes maybe even Expos fans this is a great item for them to pick up, to grab an auto of the All-Time Hit Leader, but overall is flooding the market with Pete Rose autos great for the hobby? Should you be able to get your chips, frozen pizza, and your memorabilia all at one place. Im intrested in hearing from you, the collector, is this a good idea?